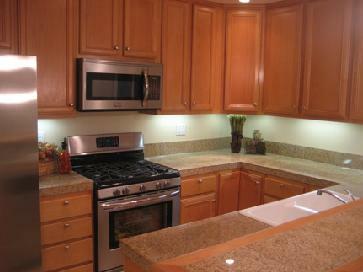 Gorgeous, fully remodeled with brand new stainless steel appliances. Freshly painted in neutral, designer colors, new carpet, beautiful porcelain tile, granite counters. Recessed lighting, ceiling fans, crown molding. Absolutely sparkling clean and ready to move right in! Very private, single level in nicely landscaped complex close to all. Single garage with washer and dryer. 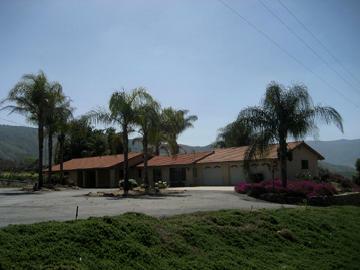 Very desirable neighborhood in Poway School district. 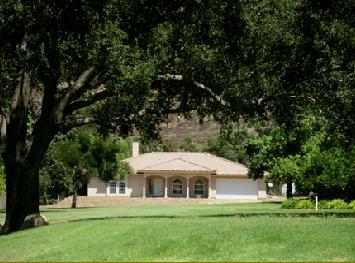 Rated "the number one working horse ranch in San Diego County" by Horse and Rider Magazine a few years ago, this very private 9.5 acre property is ready for a new owner. A lovely, updated home with granite counters, travertine and hardwood flooring. Two bedroom wings within the 2572 sf with 4 to 5 bedrooms and 3.5 baths. 12 stall mare motel, tack room, feed shed. 4 horse, hot walker, three fenced pastures, arena. Fenced, cross-fenced and gated. Three car finished garage, paved driveway. Owner moved out of state a few years ago and drastically reduced the price from his $1.3 million invested to get it sold quickly. Country at it's finest yet close to all. See photos! 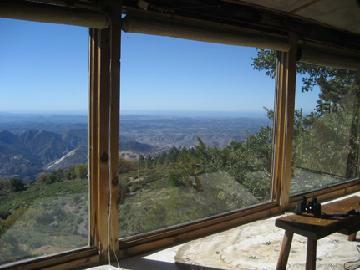 This is one of the rare, extraordinarily beautiful views from Palomar Mountain. There is a two bedroom pre-approval from the County that would need an update. You have a water share and an SDG&E and utility easement. Click to be inspired! 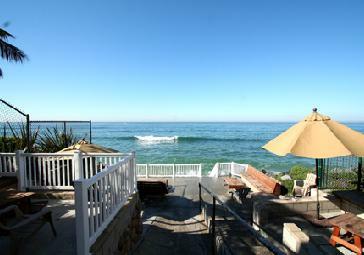 Built in 1986 to capture the ocean view, you'll enjoy the privacy from nearly one acre looking west. 1800 sf including an enchanting loft gives you three or four bedroom options. Dual windows, steel exterior doors, Vermont Castings wood stove with FA system that also circulates the heat from the wood burner. Class A fire protection asphalt composition shingle roof comes with 8 inches of insulation. You have your own well for that delicious water Palomar is famous for! Like a project? This cabin has good bones but needs love. Lots of cabin charm "potential". Two car tandem garage with workshop. On first level is living room, kitchen, two of the four bedroom areas and a full bath. 1800 sf in all! Paved driveway with level access all the way from Crestline. What does it need? New roof for starters so you can get insurance (leaks a bit and is shake). Then all the cosmetics and more. 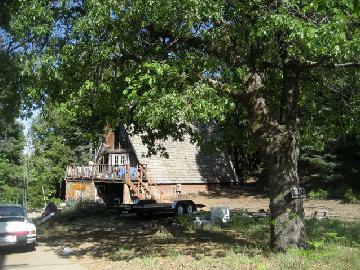 The tree and brush work are done and the beautiful 3/4 acre will be cleared of all accumulated stuff. It will then be one of the most level, usable lots with a fern meadow framed with lovely oaks, firs and cedars. Absolutely beautiful, take-your-breath away views from what the owners named, 'El Ranchito del Cielo' - Little Ranch in the Sky. Treasured since 1940 as a memorable getaway. 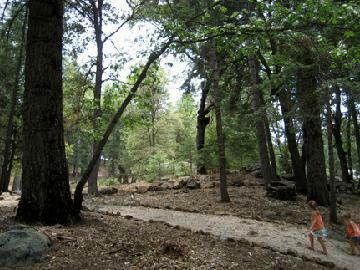 Extremely private and perched on three huge boulders, there is nothing like it at all on Palomar! Enjoy magnificent views over National Forest to Lake Henshaw, the Coronado Islands and all the way to Carlsbad with the sun setting on the Pacific. Vintage 'viewing room' with walls of glass to watch the world go by while sitting around a stone fireplace. The gated, 1.8 acres have been well groomed and it looks like a park! Click for the Views! With the feel of living in a beautiful, very well built, tree house, the stress from the city simply melts away. Relax in front of the two big fireplaces, slip into the spa and look out over the tops of the trees to the World-Famous Observatory. One acre of a nature-lover's paradise of ultimate privacy with a very comfortable, lovely home used as three bedrooms. 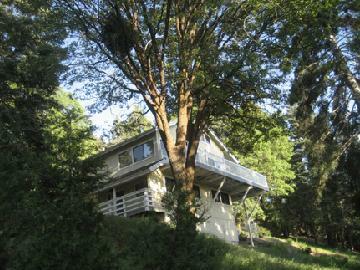 Three stories and three decks in a park-like setting of majestic oaks, firs, and cedars. 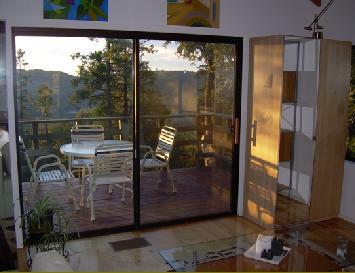 Has been a year-round residence but could be in-demand as a Vacation Rental property too! Click to see more photos. Valley. Looks out to the private "Pitch and Putt' golf course. The open floor plan with two wings to the home give so many options. Move right in while designing your landscaping and having fun with decorating ideas. Simply click to see inside! 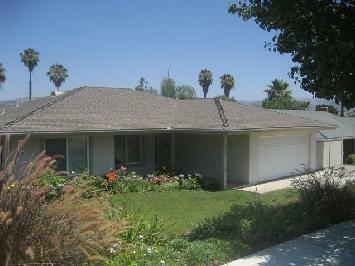 Tom's friends asked him to market their folks nicely remodeled home in Escondido. What a pleasure. 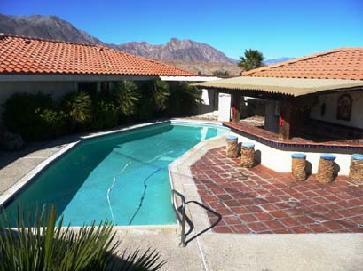 Well maintained three bedroom home with a pool went very quickly. Walking distance to Orange Glen High School, yet very private on a cul-de-sac street. Choosing the right Realtor makes all the difference. We are glad to work with your listings through out San Diego County. Absolutely charming, wonderfully romantic, custom/vintage home. Three fireplaces, two enchanting suites with spa tubs. A parlor, reading room, so much more. 1760 sf of pure delight on three quarters of an acre with magnificent sunset views to the west. Click for your tour! Newly constructed home in January 2008 and never lived in with 3 bedrooms and two full baths totaling 1290 sf. 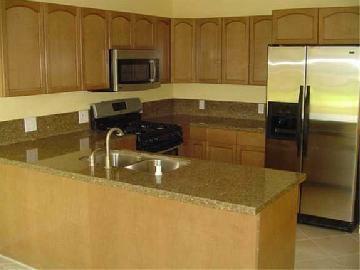 Granite counters and stainless steel appliances in kitchen. 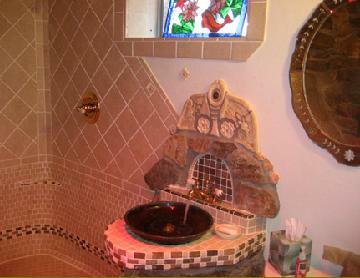 Hardwood floors throughout and custom tile in both baths. Driveway and patio constructed with natural interlocking pavers. Perfect for a first time home, single professionals, or empty nesters. Click to see photos! Looking to be inspired? Like environmentally friendly interiors? 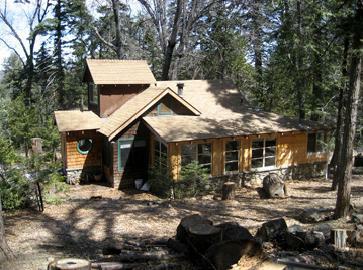 Come away to very creatively and artistically remodeled, charming cabin. Over the years the cabin grew to include a larger, open kitchen, sunroom and bedroom area. Pull down ladder takes you up to two loft sleeping areas. Artistic touches through out with stone fireplace, instant hot water, new roof, plumbing, electrical and fixtures. Lots of charm on terraced, wooded lot in the forest. Here is a quick photo tour. 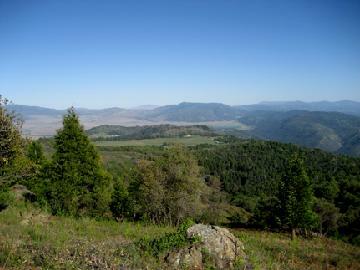 Come away to a one third acre in a lovely forest setting off Bailey Meadow Road on Ivy Trail. Leech field layout, utility easements, water share and cute cabin plans. Click to see photos, building plans to print and more at the Ivy Trail tour! It's all about the lifestyle of living or vacationing at the beach! Very rarely does a home become available in this treasured neighborhood in Carlsbad. Acting quickly, you have a chance to be the newest owner! Simply click to see inside. . .